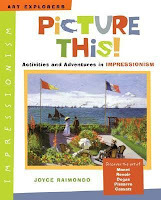 We've been reading generally about impressionism, and specifically about pointillism, this week. The younger girls decided to try their hands at a simple, pointillism project from Joyce Raimondo's Picture This! 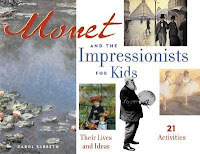 Activities and Adventures in Impressionism. First, they drew the outlines of flowers, with grass underneath, and a sun above. ...then going back over them with additional primary colors, and finally a touch of the secondary colors, they were trying to suggest. They might not have created Seurat's, but they got the point. 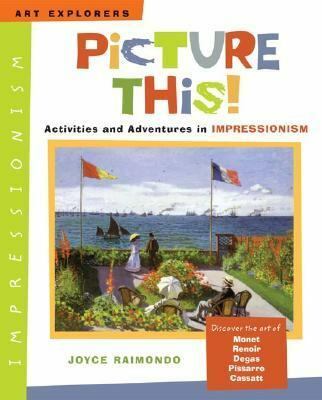 This is a great way of learning impressionistic pointillism! I have heard of using an eraser for it, but I love the way the colors are layered. We are going to have to do this when we get to Seurat. Oh, this activity reminds me of my first year of teaching (in the public school system). I SO need to do this lesson with my OWN kiddos! I this on Pinterest about a week or so ago and have been wanting to try it....after seeing your post, I really want to try it now! Charlene - Was it a pointillism project, or pencil stamping? I need to get back over to pinterest, there are so many fun ideas there! I tried to do something similar to this with my kids and they did not have the patience to achieve it. Your kiddos projects turned out so great! I love this idea. So simple and so fun. I can't wait to do it today with my 7 year old. Love it! We'll be trying this for sure:) We've done this with fine tip markers, but I like the boldness of the pencils. Thanks for sharing. We love the comedian Brian Regan. He has a bit about art--how he said "I love art" around some art snobs and hilarity ensued. They ask, "Do you like Monet?" His reply: "I love monet. In fact, I spent a lot of "monet" when I was in Pair-ee (Paris)." "So what's your favorite Cezanne?" they ask. I'm requesting the books you used for my homeschooled kids. 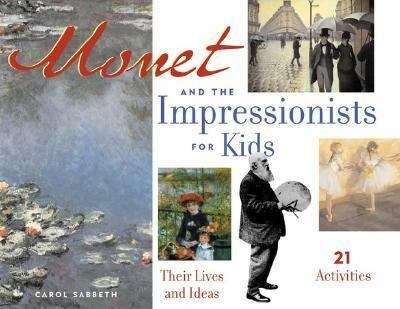 Now my kids know the names "Monet" and "Cezanne," we can segue into learning what those guys were about! 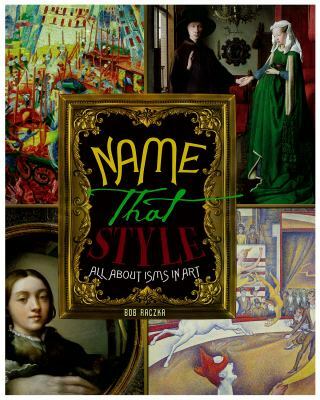 I recommend looking up Brian Regan+art on YouTube. Jennifer - Thanks - I will!